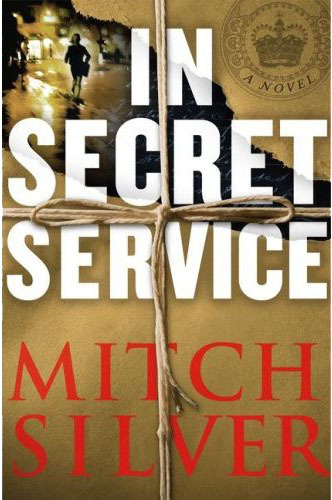 I completely missed this last week, but on May 22 In Secret Service by Mitch Silver was released to bookstores nationwide. The synopsis gives me a Da Vinci Code and National Treasure vibe. In it, Fleming apparently found out that following King Edward VIII’s abdication, Edward formed a secret relationship with Adolf Hitler. Knowing this, Fleming wrote it down in a 1964 manuscript that was discovered 50 years later by Amy Greenberg in Dublin. Wow, fiction can be fun! In 1964, James Bond’s creator sealed a package containing a manuscript he thought no one would read until fifty years after his death. Ian Fleming was an officer in Britain’s Naval Intelligence during World War II, and he had his own adventures to recount. His family ties and his career had taken him to the upper echelons of British and American society and espionage, a world where passionate affairs, exotic locations, and polite cocktail chatter were interlaced with danger, betrayal, and deceit. He’d replicated that world in his famous novels, but this manuscript contained a real spy story that would explode history when its secrets were revealed. He’d chosen the reader, and he’d have to trust she would serve the truth. In 2005, Amy Greenberg — a young American academic with a glittering future — is summoned to Ireland to claim the contents of her grandfather’s safe deposit box, in which she finds only one thing: a manuscript by Ian Fleming. The pages detail Fleming’s involvement in Allied spycraft and contain information so confidential, so potentially explosive, that Amy soon discovers that people on both sides of the Atlantic are willing to kill to maintain its secrecy. As she journeys back home with her precious cargo, Amy finds herself in a race against time — she must unlock the manuscript’s shocking and fascinating secrets and outwit the unknown assailants who would do anything to bury the truth and protect a traitor’s name. what a smashing read. best of the year! fast=paced, engrossing….excellent. high marks!